We have begun unpacking a new container of beautiful Teak and Mango wood furniture. Come in early for the best selection. 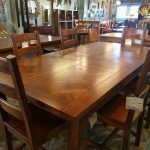 New items include dining tables, chairs, TV consoles, dressers, daybeds, coffee tables, benches, bookcases, desks and more. Each piece is solid wood, handmade by talented craftsmen in Indonesia. This is quality furniture that will last for generations. 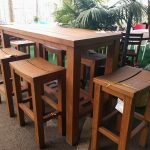 Teak Bar height table with stools. 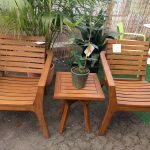 Teak chairs and side table. 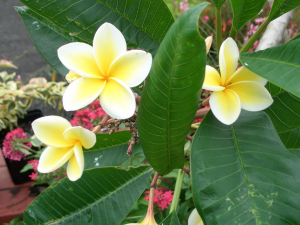 Great for outdoor use. 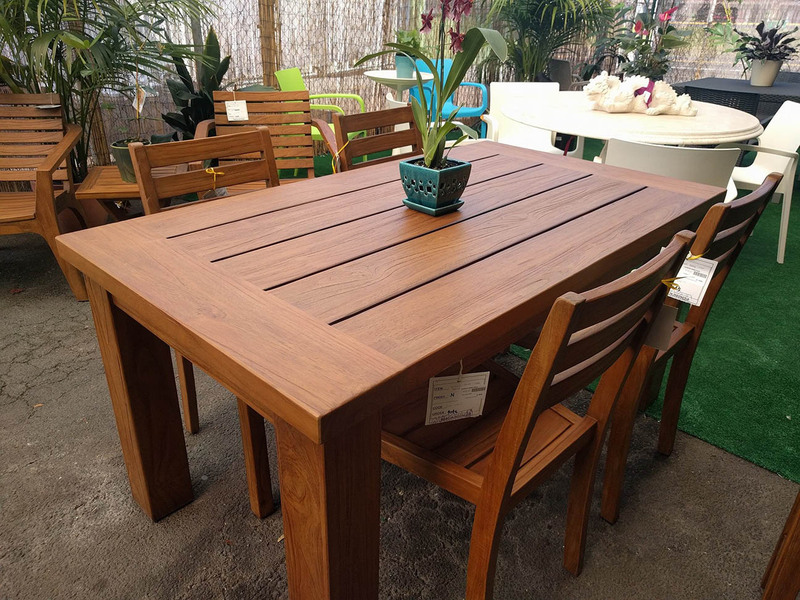 Solid mango wood table with dark stain. 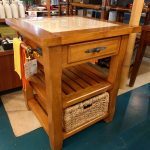 Mango wood table, great for extra counter space in your kitchen.